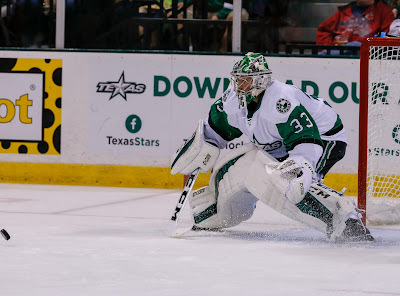 Texas needed every last bit of effort from its goaltender, but Maxime Lagace led the Stars to a 4-2 victory. The second-year goalie halted 43 of 45 shots against him for the win. "We were definitely giving him pats on the pads when we got the chance," said defenseman Andrew Bodnarchuk. "He absolutely stood on his head." 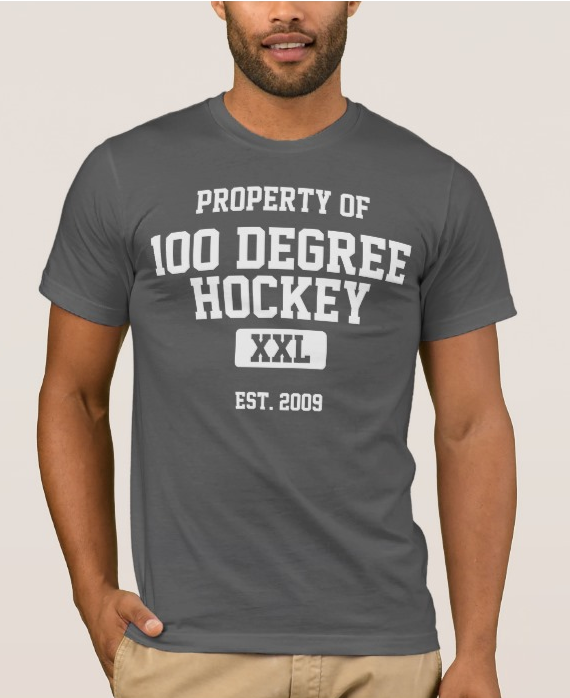 Lagace started last year in the ECHL behind John Muse and Jack Campbell at the AHL level. He elevated his game and earned the AHL starting role after Christmas. He has proven this weekend that he is indisputably the starter for the AHL squad. "Last year I got a little taste of [the starter role]," said Lagace. "But now that I know I have all of the organization's confidence behind me, it's a boost to my confidence, I feel great in that spot." This weekend, he stopped 76 of 80 shots for a .950 save percentage. Charlotte responded to last night's 6-2 loss with a strong effort out of the gate. They collected the first goal after putting Texas on its heels with several power plays. Derek Laxdal was expecting the response, "When you play a team in a two game set, you'll always get a response the second night. We talked about that, but I don't think we believed it until we experienced it." Texas answered the early Poturalski goal with a power play tally from Brandon DeFazio, his second of the year. Justin Dowling assisted on the marker, showing that those two have the potential for some serious chemistry moving forward. Andrew Bodnarchuk helped Texas break away late in the first with a floater of a goal, lofted to the top right corner for the 2-1 lead. The teams traded goals in the middle frame with Patrick Brown scoring shorthanded for the Checkers and Gemel Smith regaining the lead just two minutes later off the assist from Denis Gurianov. It was Gurianov's first AHL point. The third period was where the team earned its stripes. Texas took four penalties and was outshot in the period 18-4, certainly a different story than last night's contest. "In a game like today, it was a playoff atmosphere," said Bodnarchuk. "There are going to be games like that we're you're outshot and outchanced and you have to find a way to win." The Stars used a litany of players on the PK but as the game wound down, Laxdal had to shorten the bench to ensure the best chance to win. The penalty kill finished perfect 7/7 on the night. Despite the shot deficit, Lagace felt the team was able to "limit chances from the slot and those dangerous chances" in front of him. Overall, Texas will look to tighten up its defensive work as it hits the road this week. Bodnarchuk summarized, "They were quick on the forecheck and did a good job putting pucks to net. After you get zone time, it's a little harder to break out. We gave them some opportunities, turning over the puck too much in the neutral zone and at the blue lines." Laxdal continued, "At the end of the day, if you can get two points, you'll take it anyway you can. After the second period we talked about steering this ship in and get the two points, but that was one big ship and it felt more like a tugboat at times." Justin Dowling polished off the game with an empty net goal. The Stars hit the road to face Stockton on Wednesday.